Writing is the key to Rise of the Planet of the Apes; You can forgive the ambitious digital effects that aren’t quite right, or the clunky references to the original movies or even the fact they included a goddamned talking monkey, because in the world of the movie it just felt real. I wasn’t really aware that James Franco was an actor. I knew he was a dude who was in movies and stuff, but in Rise he actually displayed some real chops. It’s Lithgow who steals the show though, playing an Alzheimer’s afflicted character with his usual verve and charisma. Here’s hoping this is a lasting comeback. The movie is shot well, competently acted, and paced like a steam train. It’s excellent blockbuster fodder with added not-so-subtle political subtexts that succeeds at almost every level. 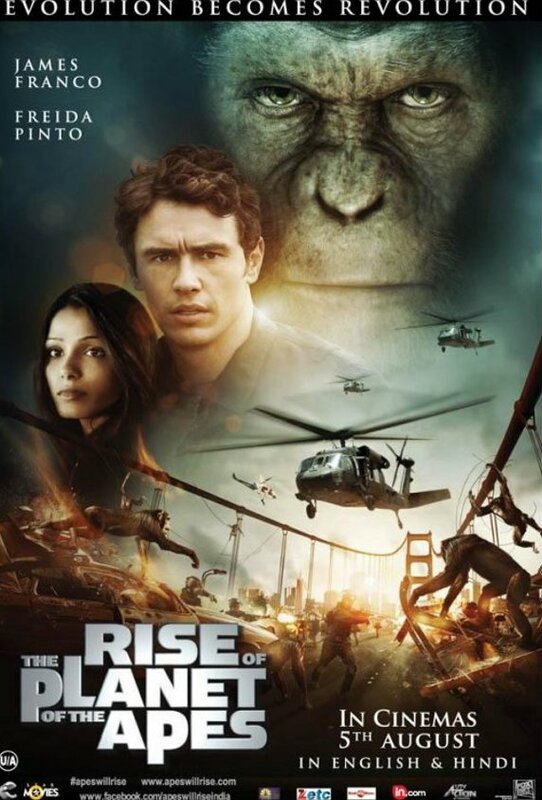 This entry was posted in Film and tagged Action, Apes, Film, James Franco, Movie, Review, Sci Fi. Bookmark the permalink.